BANKE (Holiya), July 8: After flood warning sirens went off, Munijar Yadav, a local of Tepari village of Holiya VDC in Banke district could not sleep Monday night. He spent the whole night on the bank of the Rapti River, watching the tides of the river anxiously. The Rapti, indeed, breached its bank that night, inundating the nearby villages. As luck would have it, Munijar's house was saved. But for many villagers like him, spending time on the bank of the river to observe its flow has become a routine during monsoon. Every monsoon, Rapti swells after incessant rains lash upstream areas of hill districts, including Rolpa and Pyuthan. Holiya VDC, which is situated on the river bank, remains at high risk of flooding every rainy season. "Fearing inundation, we prefer to spend most of time outside," another local, Rajendra Kumar Sharma, said. Although there is an embankment, locals fear that it may collapse anytime, according to Sharma. On Tuesday, Kusum-based flood early warning system gauged water level to be 5.2 meters high at 11 am. The local administration urged the villagers residing near the banks of the river to take necessary precaution. With the early alert, local administration was able to prevent big loss of properties, Durga Prasad Pandey, locals, said. Although floodwaters entered the village, not much damage was done due to early warnings, Chief District Officer (CDO) Rabilal Pantha claimed. 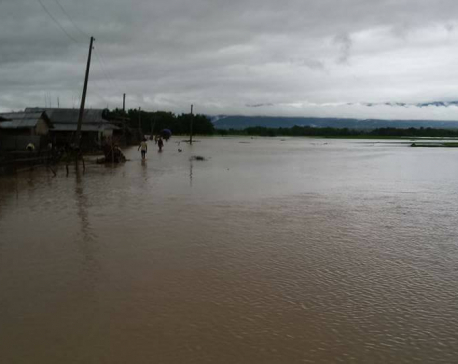 Around a dozen villages, including Holiya, Phattepur, Mathehiya, Gangapur, Betahani, Bankatti, and Kamdi, are vulnerable to swollen Rapti River. It takes around five hours to reach there from Kusum, where flood early warning station has been installed. The five hours are enough to take required measures to prevent losses, according to CDO Pantha. He added that whenever the water level at Kusum reaches 4.7 meters, people in the settlements near the Rapti River start getting nervous. CDO Pantha said that he has already directed concerned VDC secretaries, the local disaster management team and the police to do the needful so as to prevent the loss of lives and properties. 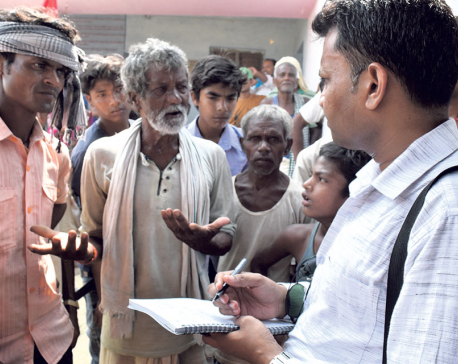 This is not the first time that thousands of villagers residing near the Rapti River worried about floods. They have been facing similar problems for the last several decades due to flooding. However, flood risks have become aggravated after the Indian authorities built causeways at no man"s land along Nepal-India border, which has obstructed the natural flow of rivers at Laxmanpur and Kalkalwa areas. 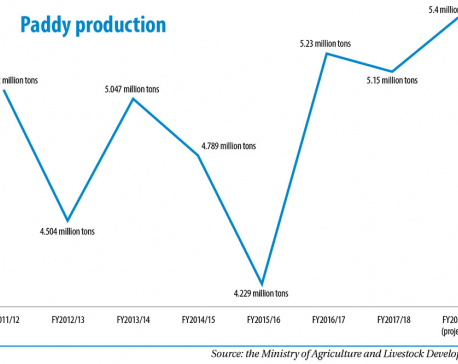 Despite serious problems, Nepal government authorities has failed to show due concerns to address this annual plight of flooding.